After 10 years, it's time to take the next step. Amid the battles over bezels, screens, and battery life, there’s one thing that all iPhones have in common: They’re powerful enough to replace your PC. Now before you start yelling at your screen, I’m not talking about the iMac Pro or the HP Omen. If you use your laptop or desktop to do something you can’t do on your phone, the point is moot. PCs and Macs still have their place in the world, and it’s going to be a long while before our mobile devices can handle the more strenuous tasks we call on our PCs to do. But for the majority of people, an iPhone is enough. Apple knows this. It’s already marketing the iPad as a computer, and the iPhone is just a stone’s throw away, with the same processor, OS, and storage capacity. The only real problem is that the screen is too small for doing lengthy work. But if Apple were to think of the iPhone like a MacBook Air, it just might work. When Steve Jobs unveiled the MacBook Air 10 years ago, it’s main selling point was extreme portability. It wasn’t the fastest machine or the most capable, but people flocked to it for its thinness and lightness. 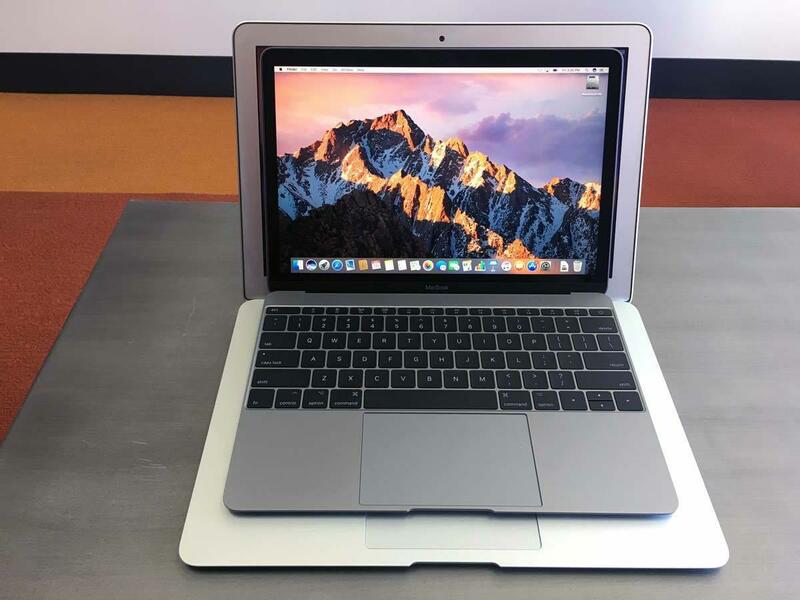 At just 3 pounds and less than an inch thick, the MacBook Air ushered in a new era of portability years before the iPad made its debut. The MacBook Air isn't the smallest, thinnest, or lightest MacBook anymore. But Apple’s strategy for the MacBook Air has hit something of a wall. It hasn’t been received a meaningful update in years (despite a spec bump at last year’s WWDC), and no longer holds the claim as the company’s lightest or thinnest laptop in Apple’s lineup. Essentially, it’s the Mac mini of the notebook line. Ten years later, Apple’s ultimate portable isn’t the MacBook Air anymore. Nor is it the MacBook. In fact, it’s not a Mac at all: It’s the iPhone. Apple may still sell some 20 million Macs a year, but it ships twice as many iPhones in a down quarter. Simply put, the iPhone has become the MacBook Air for a generation of Apple users who have no use for the processing power of a PC. It’s more than capable for most tasks—messaging, web browsing, streaming, social media—has a great camera and lasts all day. 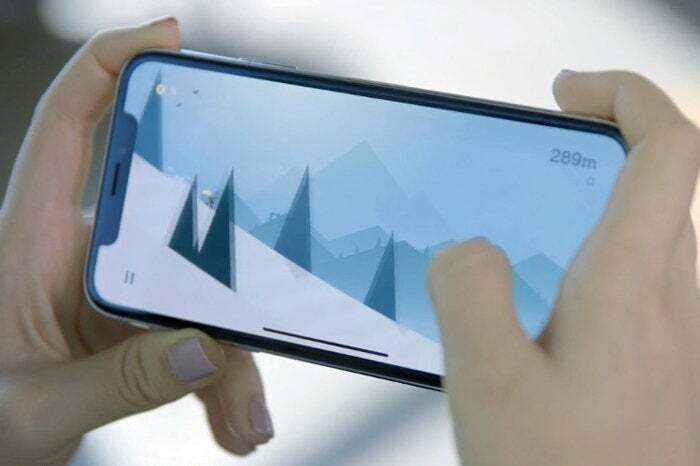 The one thing the iPhone doesn’t have, however, is a large screen. The largest iPhone screen is just 5.8 inches, which isn’t exactly conducive to getting work done. Apple will happily sell you an iPad or a MacBook to fill that need, but otherwise there’s no way to expand the screen and no real multitasking, at least not like Split View or Picture in Picture on the iPad. And as long as the iPhone stays in the 6-inch range, it’s going to stay that way. iPhone X has more screen than ever, but it's still not built for work. But it doesn’t have to. Back when it unveiled the Galaxy S8, Samsung also took the wraps off an innovative companion dock that transformed how we think of our smartphones. Called DeX, it allows the S8 to attach to a monitor for a full-sized workspace. It’s a true innovation that pushes the smartphone into new territory, and it’s a delight to use. It’s easy to dismiss as a gimmick, but once you pop the S8 into the DeX dock, you can instantly see the potential. It might not be as polished as it could be, but Samsung has designed a legit desktop interface for the S8 that does for the phone what Chrome OS did for laptops. There's no setup or preferences to speak of, but phone apps feel more like full PC ones than mobile apps, with resizable windows, robust interfaces, and traditional multitasking. Once you plug it in, it doesnt feel like you’re using a phone at all. 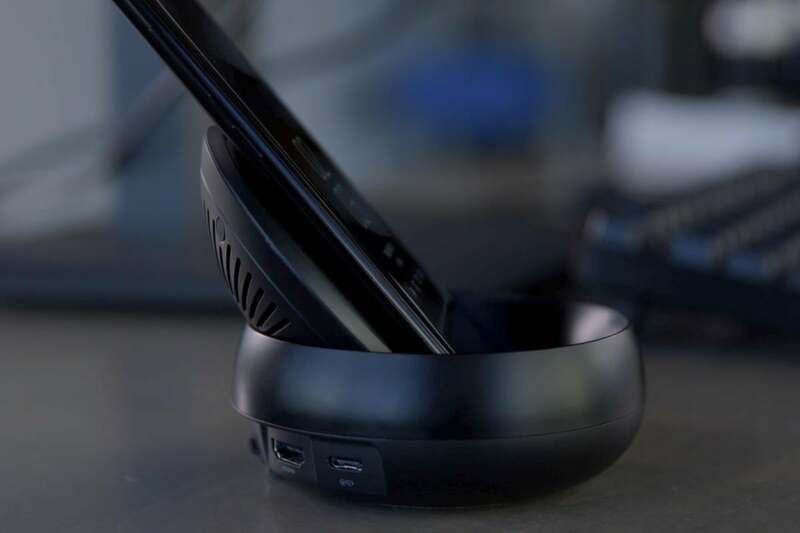 Samsung's DeX dock turns your Galaxy S8 into a PC. And other phone makers have taken notice. Huawei does something similar with the Mate 10 Pro, letting users connect a standard USB-C-to-HDMI cable to enter PC mode, but it was something Razer showed off at CES that really piqued my interest. It was just a prototype, but instead of a small dock, it was a full-sized laptop with a slot for the phone to slide into. And I wonder if there isn’t a prototype of something similar floating around Jony Ive’s laboratory. No matter what you use your iPhone to do, there are times when we all could use a break from holding our phones. And that’s where a dock could be a killer accessory. Unlike Samsung, Huawei, and Razer, however, Apple has a built-in advantage here: the Mac. Remember, iOS is built on OS X, so building a “lite” version of macOS for the iPhone would be a natural extension of iOS. But Apple could go a step further than a mobile operating system by incorporating Mac-like functions too: a full iCloud-based Apple File System, Spotlight search, dynamic notifications, powerful security, and of course, desktop-caliber apps. A big screen would give iOS on the iPhone room to breathe—and give us room to work. People have been clamoring for a hybrid Mac for years, and this would be the next best thing: essentially, a Mac that can fit in your pocket. The iPhone is evolving faster than the Mac ever did, so much so that it’s beginning to reach the limits of what it can do on our phone. 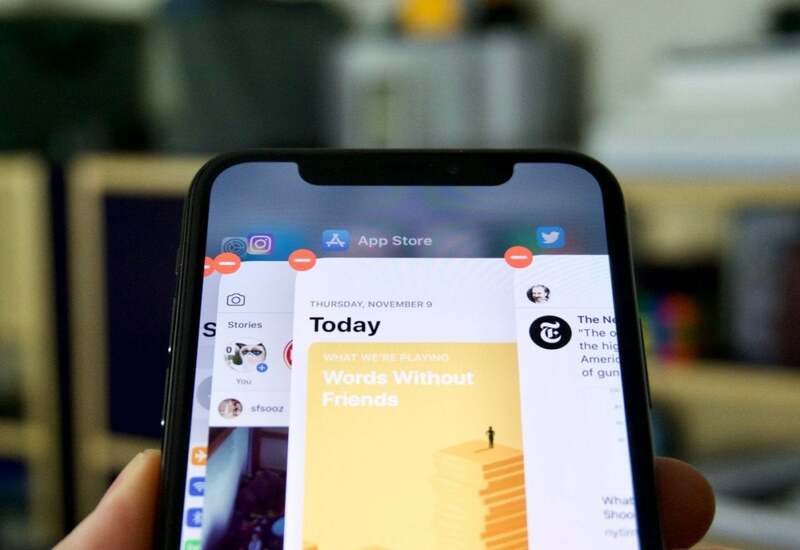 Each new iteration of iOS might bring a couple new features, but for the most part, iOS is constrained by the limitations of the iPhone screen. And unless Apple plans on making a 10-inch iPhone in the near future, iOS won’t be able to break out of its mold. If Apple were to expand and modify iOS to fit on a big screen and work with a trackpad and a mouse, it would turn the iPhone into a sort of modern MacBook Air. Except it would be even more mobile, more versatile, and more advanced. So what would an iPhone dock look like? Apple could go the way of the S8 and create a portable desktop dock that connects to a monitor. Or maybe a wireless charging pad that delivers data once it rests on it. 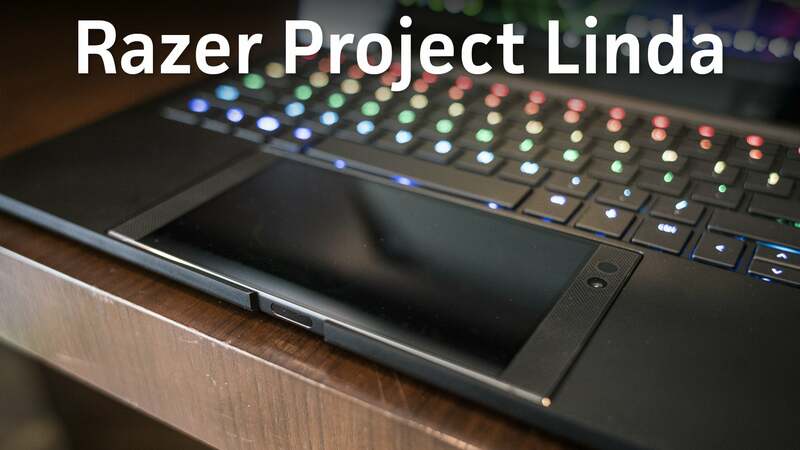 Or it could do something like what Razer demonstrated: A full-on laptop with an iPhone slot. That’s probably not viable (or affordable), but it would be the coolest way to bring the iPhone to the desktop. I know I’d buy one. Whatever the method, it seems inevitable that Apple develops some kind of a way to bring iOS to the big screen. As cool as iPhone X is, it’s still just an iPhone, and until Apple embraces its full potential, that’s all it’s going to be. But while the MacBook Air may be on its last legs, its spirit is alive and well. All Apple needs to do is harness it. 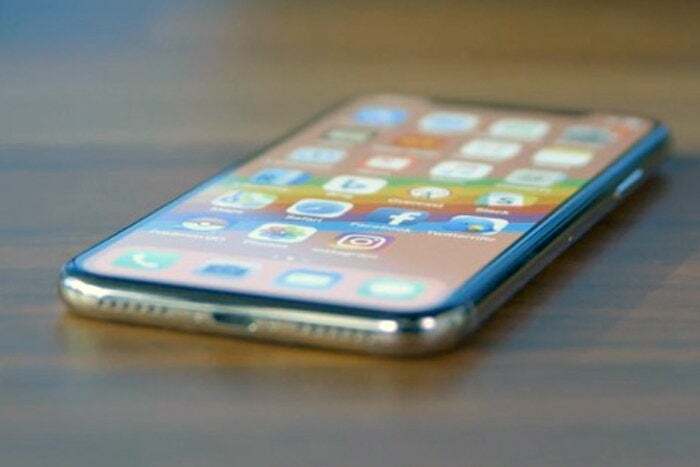 By combining the mobile prowess of the iPhone and the MacBook Air, Apple would create the ultimate mobile device, one that works as well in your hand as it does when you hook it up to a 20-inch screen. And maybe the next iconic MacBook will fit in a regular sized envelope instead a manila one.